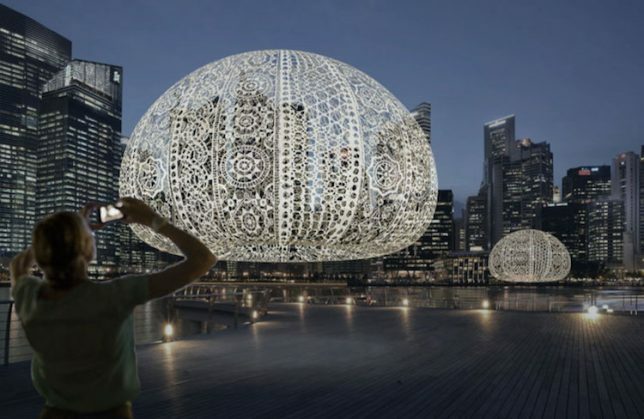 Mutant sea urchins seem to have evolved into monstrous, buoyant creatures capable of rising above the surface of the sea, glowing softly against the skyline in Singapore. 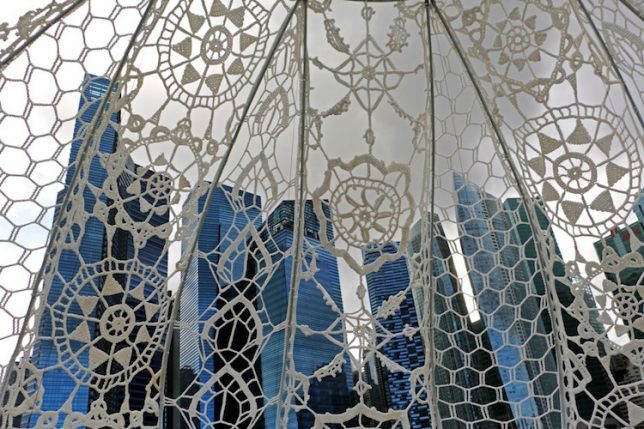 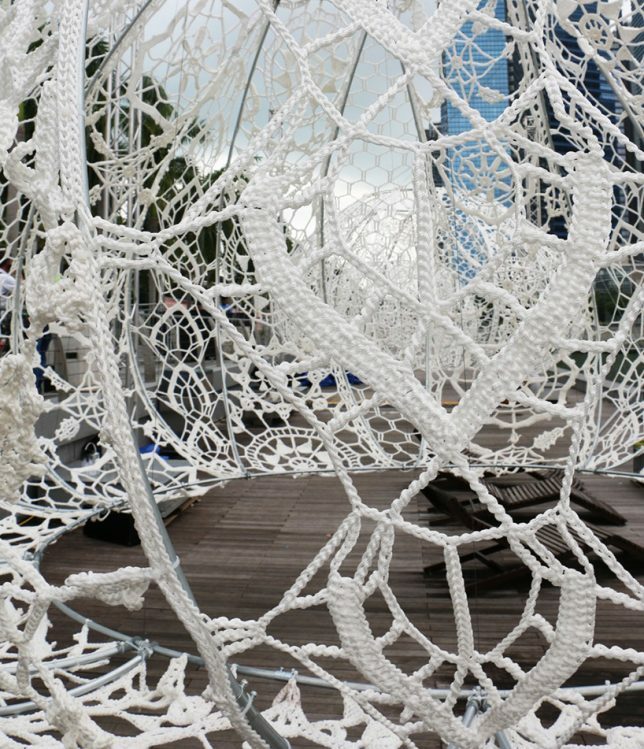 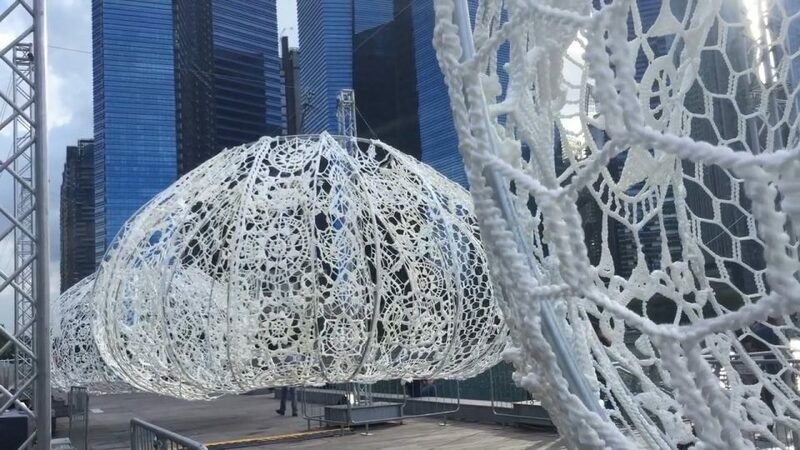 Made from crocheted lace, these three oversized urchin installations by Choi + Shine invite passersby to pause within them and take in the city through their patterned shells. 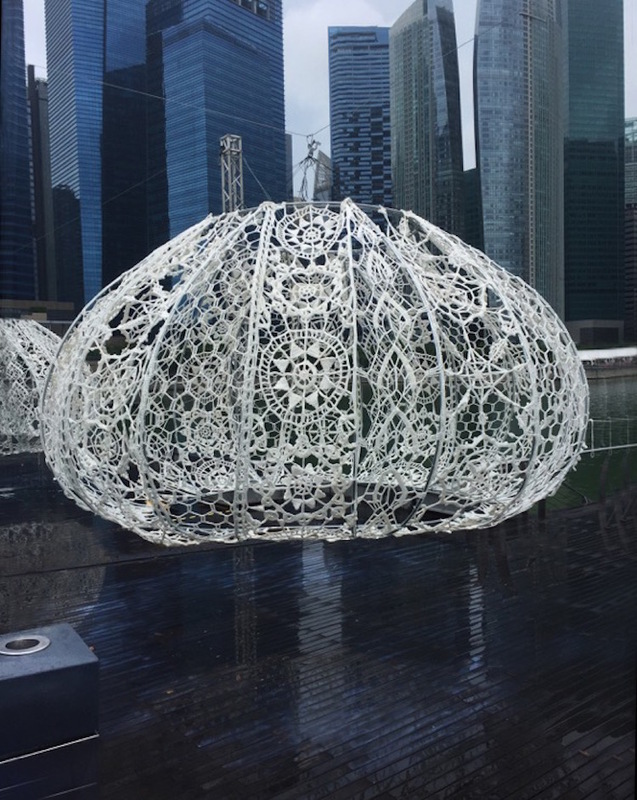 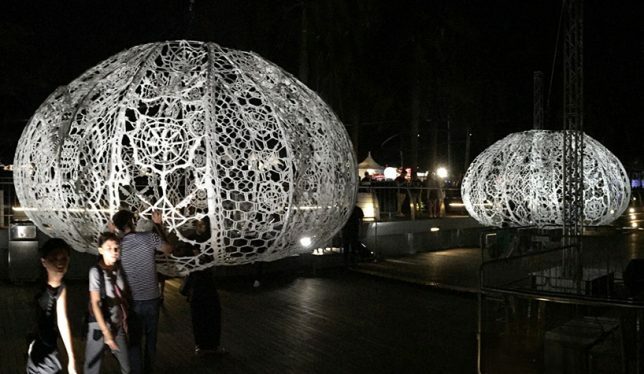 Created for this year’s i Light Marina Bay Festival, which focuses on sustainability, The Urchins are hand-crafted and interactive, each one hanging high enough to dwarf even the tallest visitors. 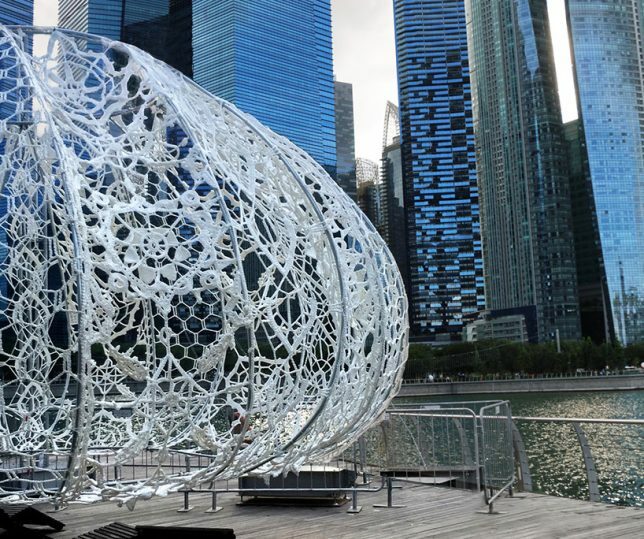 Made from UV- and weather-resistant polyester cord stretched on an aluminum frame, the urchins hang from ultra thin cables.